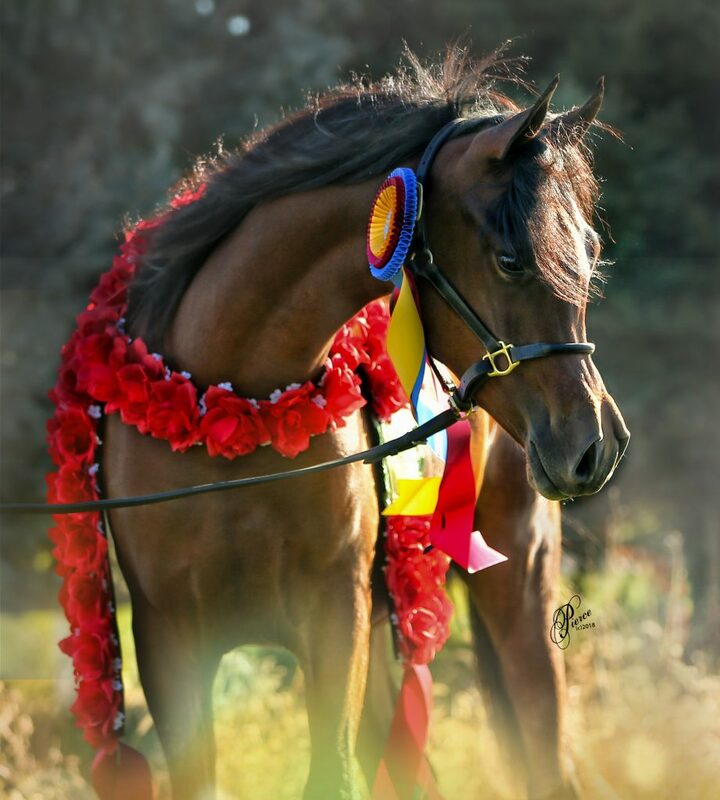 Moss Rose Farm is a boutique Arabian breeding farm with a select number of high quality mares used to produce national and international quality foals for both halter, performance, and sport horse disciplines. We have a diverse broodmare band with strengths that compliment each other. Daughters of Desperado V, Jullyen El Jamaal, ZT Marwteyn, El Nabila B, Shah Azim, and Georgio AF. Who are out of daughters of Ali Jamaal, Psymadre, Marwan Al Shaqab, Kaiyoum, and SR Nadom. By traveling to see stallions in person and breeding programs, Elizabeth has been able to establish her vision of the ideal Arabian. 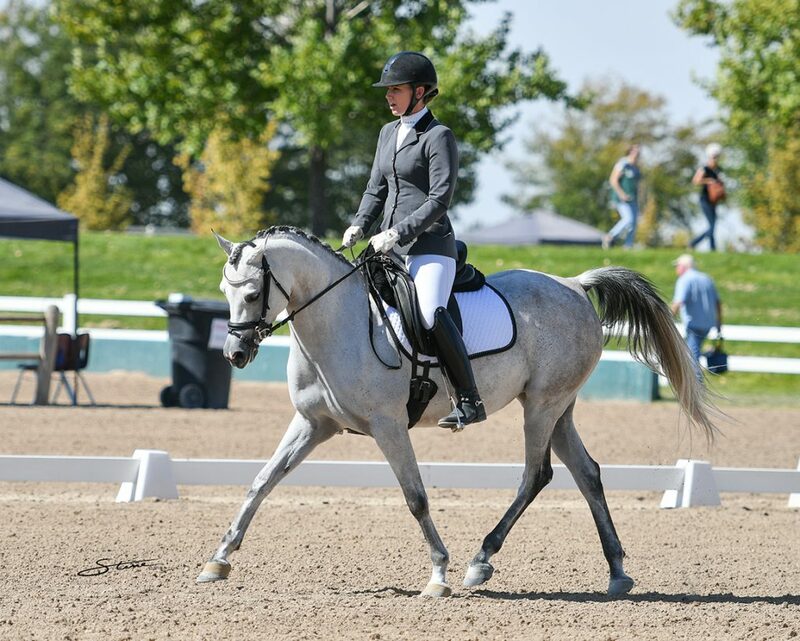 2018 was our first year of focusing primarily on competing in sport horse disciplines. Two of our foundation mares, and four homebred foals were actively shown in 2018 with our sport horse results being: 1 National Champion PB Yearling Filly SHIH, USEF Reserve National Champion Arabian Training Level Dressage, USDF All Breeds Reserve Champion Arabian Training Level, 4 National Top 10s in Training Level Dressage, 3 National Top 10s in SHIH, USEF Regional Champion Arabian Training Level, 5 Regional Championships in Training Level Dressage, 3 Regional Championships in SHUS/Show Hack, 1 Regional Championship in SHIH, 1 Regional Reserve Championship in SHUS/Show Hack, 4 Regional Reserve Champion SHIH, 1 Regional Top 5 in Western Dressage Intro, USEF Regional Top 3 SHIH, 4 Regional Top 5s in SHIH, 2 1st places at Scottsdale Show in Training Level Dressage, Top 10 Scottsdale Show in SHUS, and multiple 1sts on the open dressage circuit at Training Level. We usually have at least one or two sales horses available ranging from to weanlings to proven show horses, to broodmares.